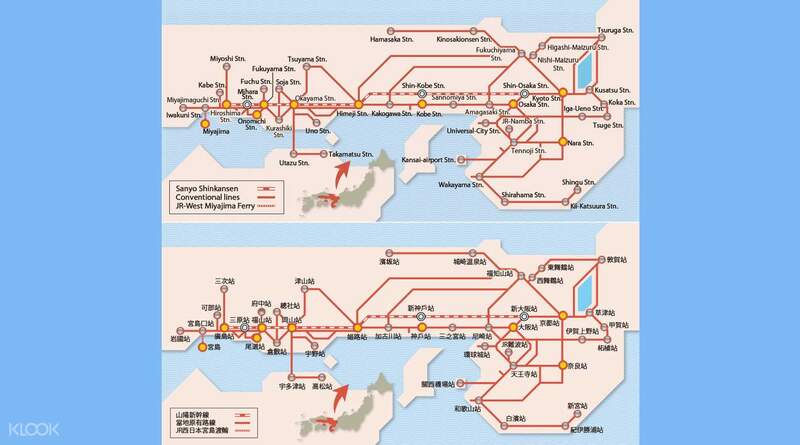 Access major cities in Kansai and Hiroshima with a single Japan rail pass! Enjoy 5 days of unlimited rides on JR's sophisticated railway systems and ferry within the region! 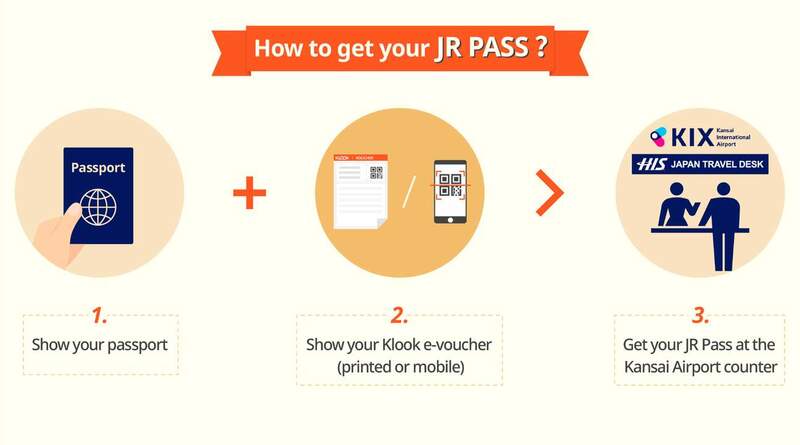 Pick up your physical JR Kansai Hiroshima Area Pass at Osaka Kansai Airport and take JR trains directly! must have item if you plan to travel for a long distance. Jr pass really save a lot of money for travelling around cities, especially Hiroshima.This card can be used directly, just show the staff at station for stamping the date, no need to exchange to any other card to use. Simply redeem your voucher for a rail pass upon arrival in Japan and be ready to explore all of Kansai and Hiroshima prefectures, including Kyoto, Osaka, Kobe, Nara, Kansai Airport, Himeji and Wakayama, Himeji, Okayama, Kurashiki, Onomichi, Miyajima, Iwakuni, and more! For 5 days, spend your time visiting the two World Heritage sites, Itsukushima Shrine and the A-Bomb Dome of the Hiroshima Peace Memorial, or take the ferry and explore the Treasure Hall in the Miyajima Island. With just a single JR Kansai Hiroshima Area Pass that works for the Sanyo Shinkansen, Express Trains, and local trains, this is definitely the easiest and fastest way to explore Kansai and Hiroshima. 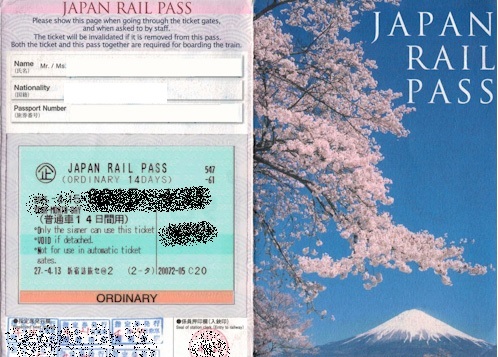 Enjoy open adventures with this essential travel pass for Japan! 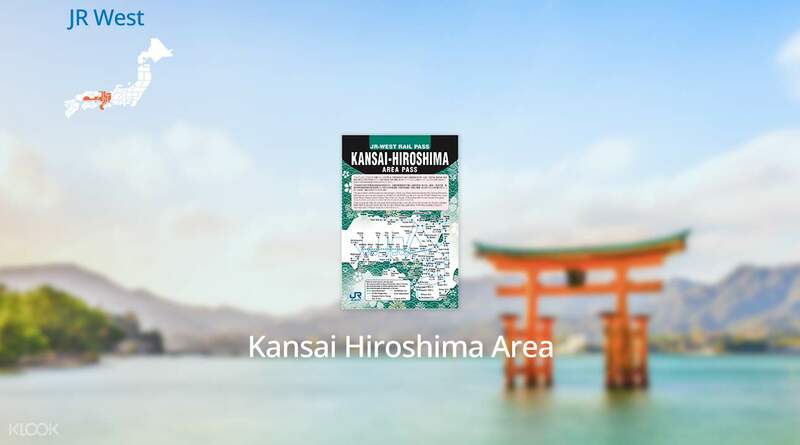 JR Kansai Hiroshima Pass covers Kyoto, Osaka, Kobe, Nara, Kansai Airport, Hiroshima and more! Amazing time thanks to this pass! Although there was some misunderstanding at first of where I could use it, it was very useful for getting me from Kansai airport to Hiroshima and then to Shin Osaka! Worth your money and time to use this! So convenient as I got to see many places using this! Highly recommend to everyone! Amazing time thanks to this pass! Although there was some misunderstanding at first of where I could use it, it was very useful for getting me from Kansai airport to Hiroshima and then to Shin Osaka! Worth your money and time to use this! So convenient as I got to see many places using this! Highly recommend to everyone! The pass is worth it for my trip this time. I could travel with JR lines without limit is a pretty good deal. Just that you have to pay extra if you wanted to travel to Tottori. Easy to collect and easy to use. Just that there was a bit of confusion at the Osaka station to activate the pass. Other than that, highly recommend to get this pass and explore more parts of West Japan like Kinosaki Onsen and Amanohashidate! The pass is worth it for my trip this time. I could travel with JR lines without limit is a pretty good deal. Just that you have to pay extra if you wanted to travel to Tottori. Easy to collect and easy to use. Just that there was a bit of confusion at the Osaka station to activate the pass. Other than that, highly recommend to get this pass and explore more parts of West Japan like Kinosaki Onsen and Amanohashidate! You must get this pass if you travel more than 5 days in kansai and surrounding area. It’s very convenience, I used this pass to take Shinkansen (Nozomi) from Osaka -Hiroshima then go Miyajima, Amanohashidate, and kyoto. And it’s totally worth it. Would definitely have this pass on the future. 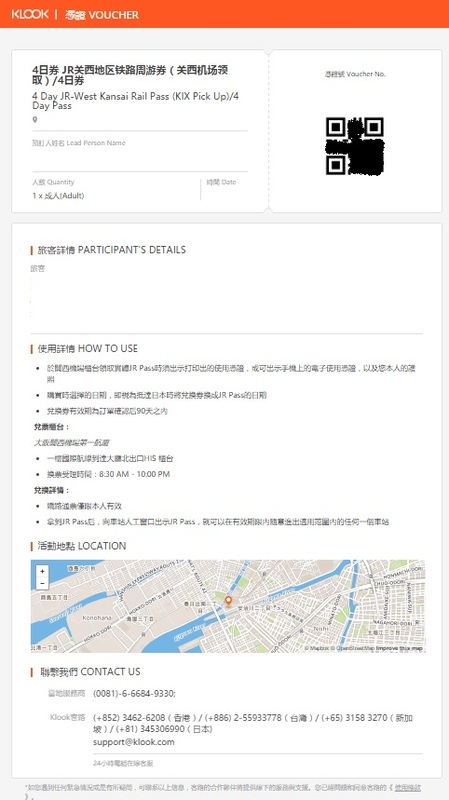 You must get this pass if you travel more than 5 days in kansai and surrounding area. It’s very convenience, I used this pass to take Shinkansen (Nozomi) from Osaka -Hiroshima then go Miyajima, Amanohashidate, and kyoto. And it’s totally worth it. Would definitely have this pass on the future. Easy to claim at HIS counter. You will receive a blank card. 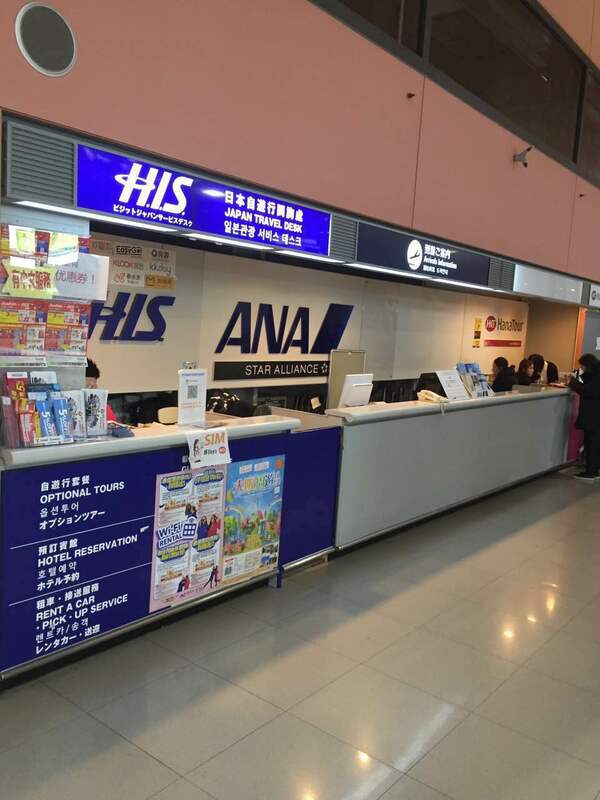 You need to have it validated at any JR office at the station, either near the train station at the airport or Shin-Osaka, Nara JR Station etc. The pass will immediately take effect when it is validated. If your not planning on using it yet when you receive the pass that’s fine. Its easy enough to have the pass validated just make sure you have your passport with you. Easy to claim at HIS counter. You will receive a blank card. 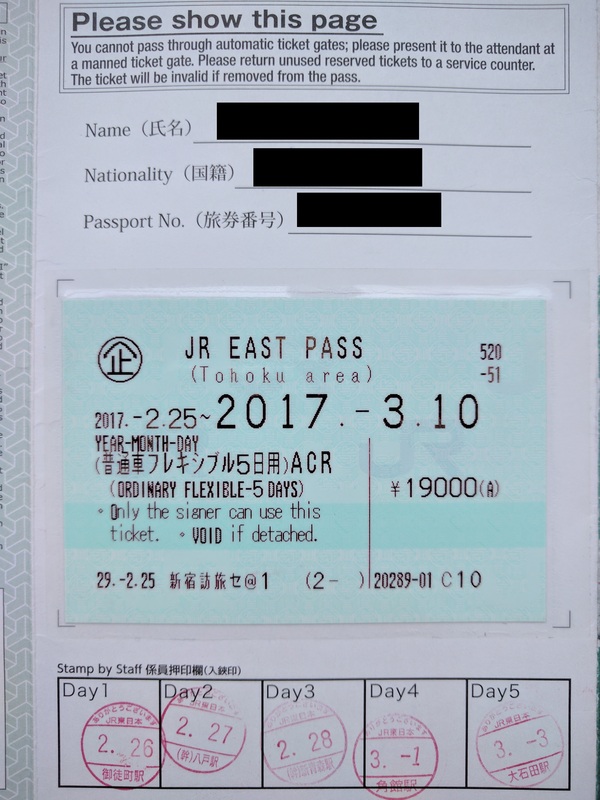 You need to have it validated at any JR office at the station, either near the train station at the airport or Shin-Osaka, Nara JR Station etc. The pass will immediately take effect when it is validated. If your not planning on using it yet when you receive the pass that’s fine. Its easy enough to have the pass validated just make sure you have your passport with you. Aside from the very cheap fare, this pass also allowed as to get thru the special gate which cut some time especially during rush hours. The pass is really worth it. Just one ride from Shin Osaka to Hiroshima, you already get the price you paid for. 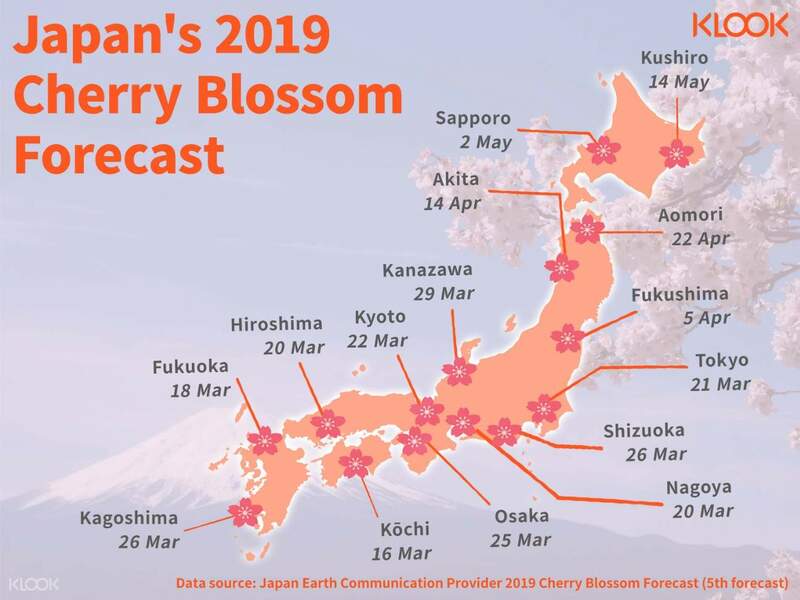 I highly recommended this to anyone who is planning to go to Kansai. You'll get to experience a Shinkansen and the Miyajima ferry. Aside from the very cheap fare, this pass also allowed as to get thru the special gate which cut some time especially during rush hours. The pass is really worth it. Just one ride from Shin Osaka to Hiroshima, you already get the price you paid for. I highly recommended this to anyone who is planning to go to Kansai. You'll get to experience a Shinkansen and the Miyajima ferry. Good to have if you plan to travel to Hiroshima. I used this JR Kansai Hiroshima pass to travel to Himeji, Kyoto, Kobe, Hiroshima, JR Ferry to Miyajima island. I fully utilize this JR pass to travel unlimited JR train rides for 5 days from 01 to 05 Oct 2018 at Kansai areas. Good to have if you plan to travel to Hiroshima. I used this JR Kansai Hiroshima pass to travel to Himeji, Kyoto, Kobe, Hiroshima, JR Ferry to Miyajima island. I fully utilize this JR pass to travel unlimited JR train rides for 5 days from 01 to 05 Oct 2018 at Kansai areas. For visitors contemplating whether to get the JR 7 Day Pass or this, just get this(5 days) if you are not intending to visit Tokyo. This pass itself covers many main tourists sights in the Kansai region such as Nara(Tons of deer), Todaiji Temple(Great Buddha), Fushimi Inari, Arashiyama. Take the,shinkansen from shin-osaka to Hiroshima and onwards to Miyajima island. Jr Ferry is covered with this pass as well! After your pass expires, simply use their ICOCA card (ez-link) for transport on subways and buses, very easy to get around once you understand the network, else ask the station staff, they are more than willing to guide you :) You wont regret this option. For visitors contemplating whether to get the JR 7 Day Pass or this, just get this(5 days) if you are not intending to visit Tokyo. This pass itself covers many main tourists sights in the Kansai region such as Nara(Tons of deer), Todaiji Temple(Great Buddha), Fushimi Inari, Arashiyama. Take the,shinkansen from shin-osaka to Hiroshima and onwards to Miyajima island. Jr Ferry is covered with this pass as well! After your pass expires, simply use their ICOCA card (ez-link) for transport on subways and buses, very easy to get around once you understand the network, else ask the station staff, they are more than willing to guide you :) You wont regret this option. Wonderful experience travelling with the 5-day pass to Hiroshima, Okayama, Tottori and Amanohashidate! Although it doesn’t cover the segment between Kamigori and Tottori, you can pay a separate supplement on the Super Inaba to get there. Redemption was fuss free at Kansai Airport! Wonderful experience travelling with the 5-day pass to Hiroshima, Okayama, Tottori and Amanohashidate! Although it doesn’t cover the segment between Kamigori and Tottori, you can pay a separate supplement on the Super Inaba to get there. Redemption was fuss free at Kansai Airport!